Copyright 2015 by Nick Johnson. 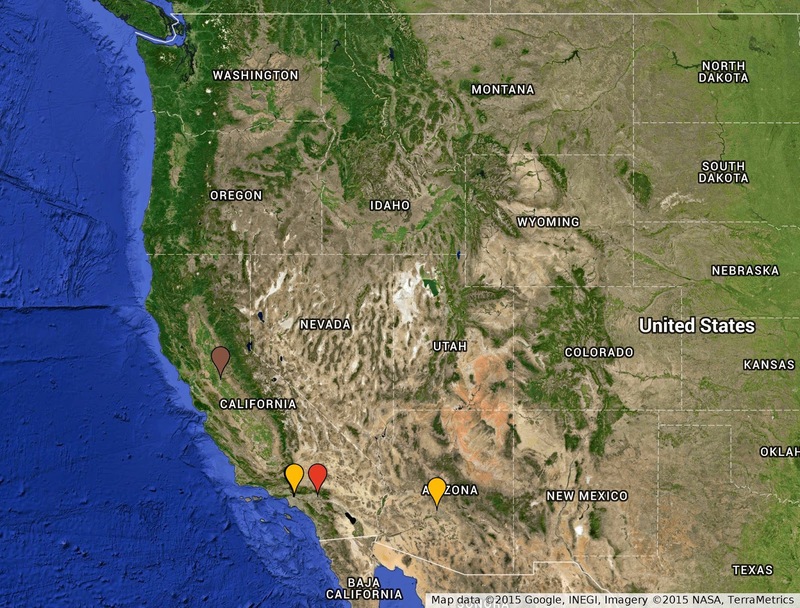 As the dearth of brown, red, and yellow markers indicates (in this view, these markers are mostly obscured by later instances), there are few instances of cannabis cultivation before 1920. 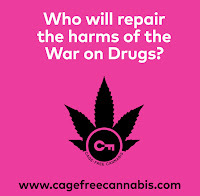 This is largely in agreement with the existing scholarly literature on cannabis cultivation in the United States, and the explosion of later instances reflects the influx of Mexican and Mexican American immigrants to the agricultural fields of the West during the first half of the twentieth century. Many of these laborers grew, sold, and dealt in the plant as a recreational and medicinal substance, as well as a cash crop that helped offset meager incomes in the beet fields. The map is far from finished; I will continually update it as I find new sources for this period, and I will eventually build it out to include the decades between 1950 and 1990 as well. Though it took a good deal of time to research and put together, this map is still no more than a quick and dirty sketch of where cannabis was cultivated during this time period. The sources for most of these markers are newspaper articles from an online database, Newspaperarchive.com; I had to work with the sources available in the database - which, as is obvious on the map - yielded few or no articles from papers in Arizona, Idaho, Nevada, New Mexico, Oregon, Utah, Washington, and Wyoming. As someone who lacks both the time and resources to go galavanting around the great public libraries of the West, this is the best I could come up with. 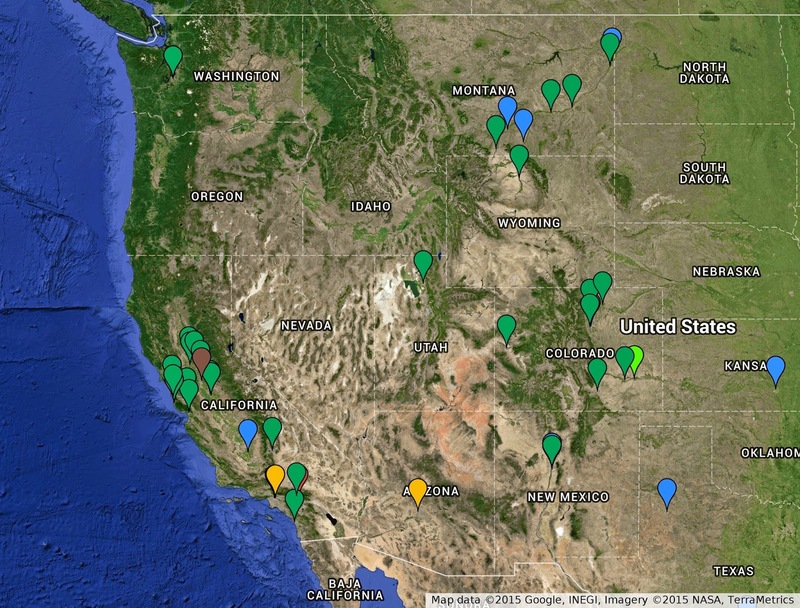 Nonetheless, based on a close reading of the sources I do have access to, I believe the data shown on the map is sufficient to draw a few important conclusions about the spread and purpose of cannabis cultivation across the West. -A total of 62 instances of cultivation across 5 decades are shown. Most of these were recorded only after a grower was arrested or a patch of plants was found, so the figure of 62 surely represents only a fraction of the cannabis cultivation that actually occurred during that time period. -A few of these instances may be attributable to wild hemp that sprouted from birdseed, although I was careful to map only instances where I was confident that the plants were being cultivated by someone. 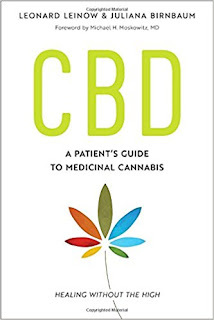 Wild specimens of Cannabis indica produce only small amounts of psychoactive cannabinoids, so a cultivator is needed to produce a marketable drug product. -The earliest instance of cultivation mapped is a 1895 hemp field near Stockton, California, operated by Syrian immigrants. An article in the San Francisco Call from June 24 of that year describes the farm as a center of production for "large quantities of hashish." -The earliest instance of cultivation by growers of Mexican descent on the map (it's not clear from the source whether they were immigrants or Mexican Americans) is in 1905 in Redlands, California. 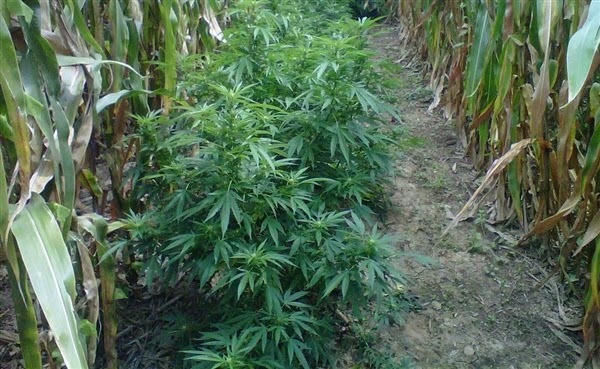 The plants were found growing in an "enclosure" at a property where authorities also found a cache of stolen articles. The instance was also reported in the San Francisco Call. -Many of these instances involved laborers in the sugar beet fields. As such, even with the lack of newspaper reports from other states, it is not surprising that Colorado and California had the heaviest concentration of cultivation instances; those states were the no. 1 and no. 2 sugar beet producers in the nation between 1931 and 1935. -Perhaps unsurprisingly, the most common locations of cannabis cultivation include farms and ranches (20 instances) and gardens and backyards (14 instances). Growers on farms and ranches most commonly hid their crop among corn - a phenomenon that continues to this day - although there is one report of cannabis found amongst an alfalfa crop. -Other reports of cultivation do not name specific locations, choosing to refer instead to "the Mexican quarter," the "Mexican district," or simply a "patch." Other grow locations include window boxes (1), vacant lots (2), and municipal parks (2). All maps copyright 2015 by Nick Johnson. *The one light green marker documents an instance of use by worker in the 1930s, who likely obtained it from a grower in the area. Sources for this post include articles from The San Francisco Call, Oakland Tribune, Corona Daily Independent, Bakersfield Californian, Daily Heyward (CA) Review Woodland (CA) Daily Democrat, San Mateo Times, Denver Post, Rocky Mountain News, Las Animas (CO) Leader, Salt Lake Tribune, Las Vegas (NM) Daily Optic, Albuquerque Journal, San Antonio Light, Walla Walla Union Bulletin, Centralia Daily Chronicle, Montana Standard, Helena Independent, Billings Gazette, Bisbee Daily Review. The article on the 1895 hashish farm near Stockton was found in Dale H. Gieringer, "The Origins of Cannabis Prohibition in California," Contemporary Drug Problems 26, no. 2 (Summer 1999), 7-8.